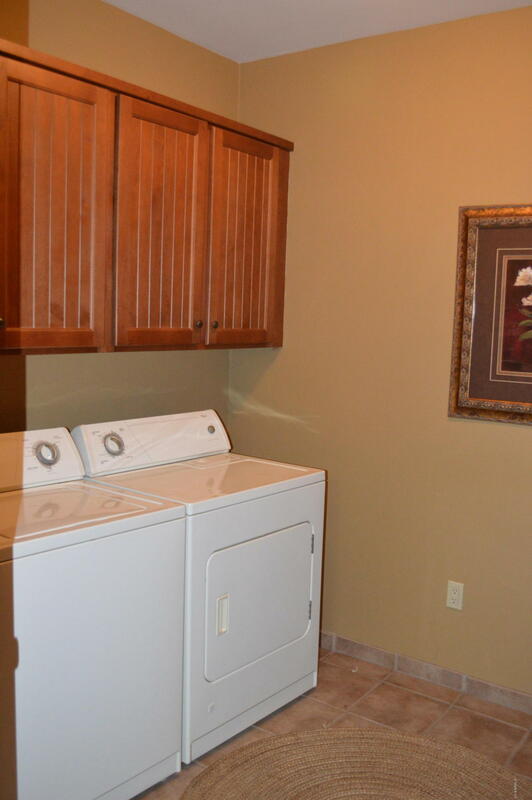 Very Popular - Single Level Duplex with private back Patio. 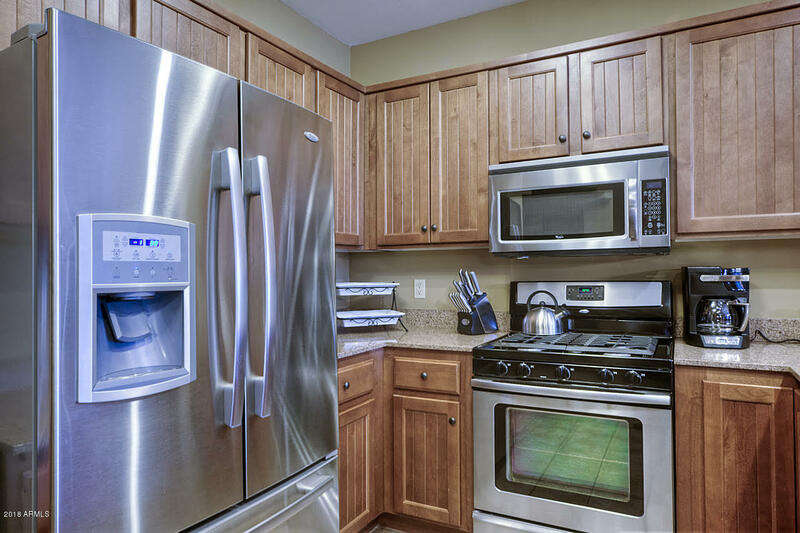 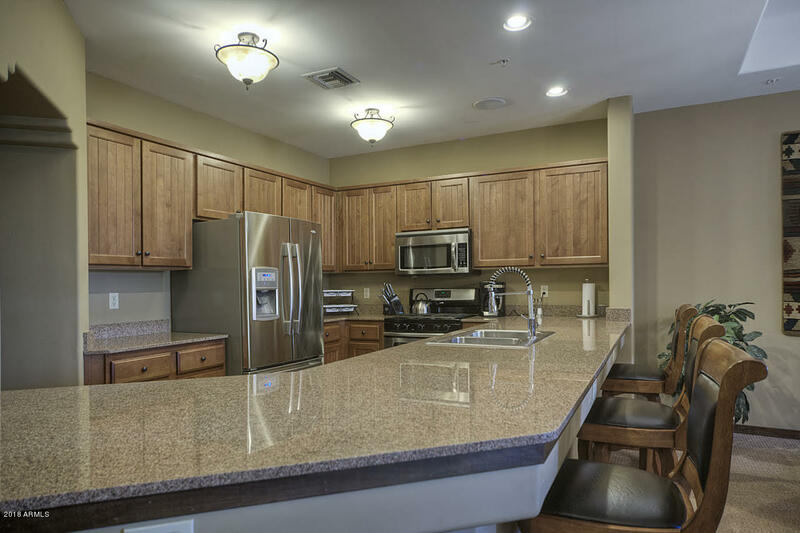 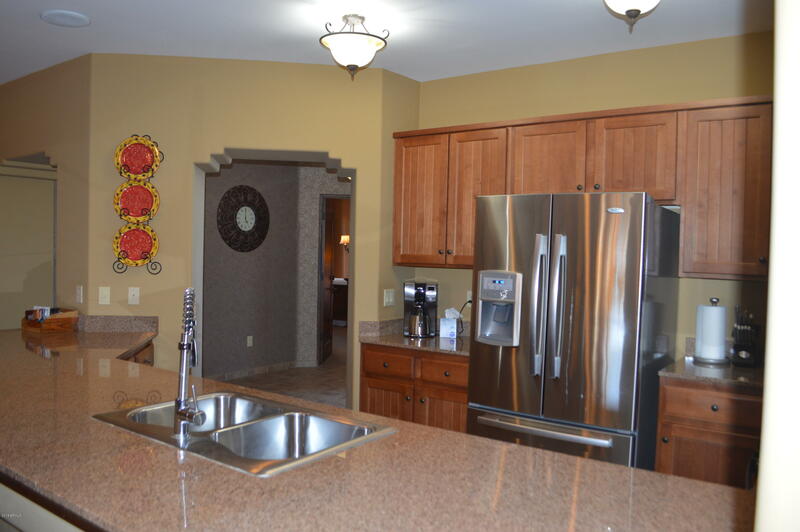 This Villa is upgraded with stainless Steel Kitchen Appliances, Granite Counter Tops and Designer Furniture. 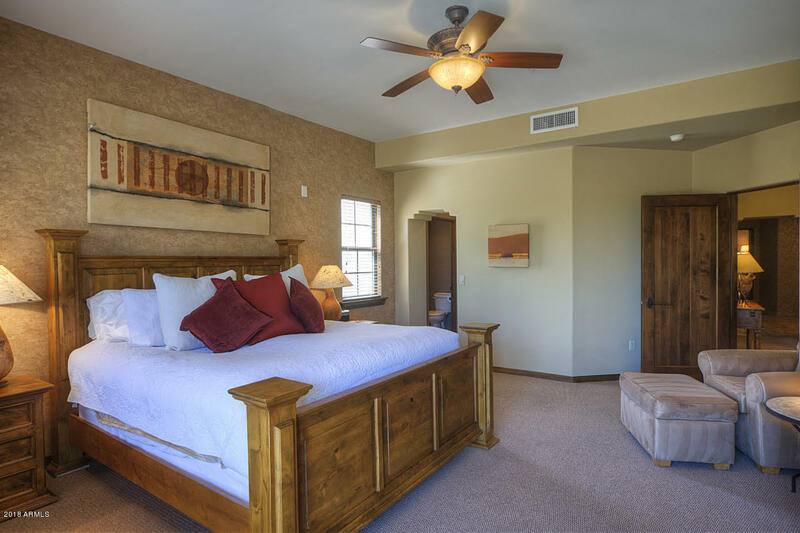 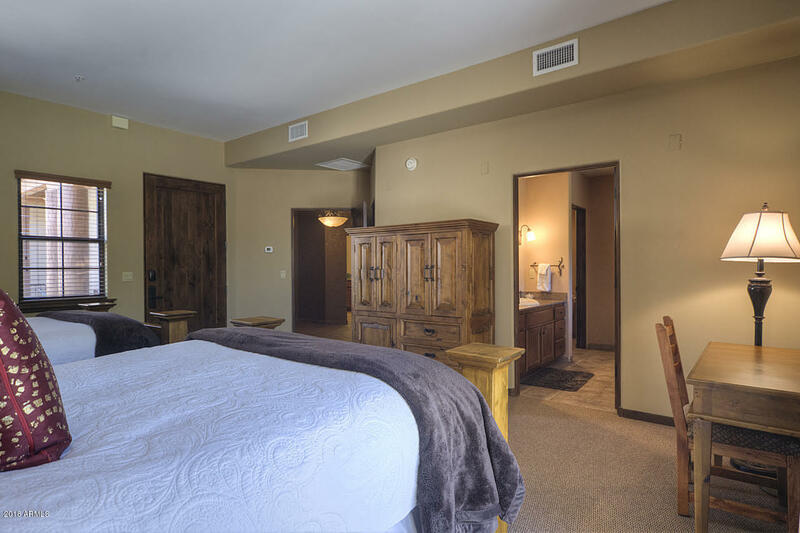 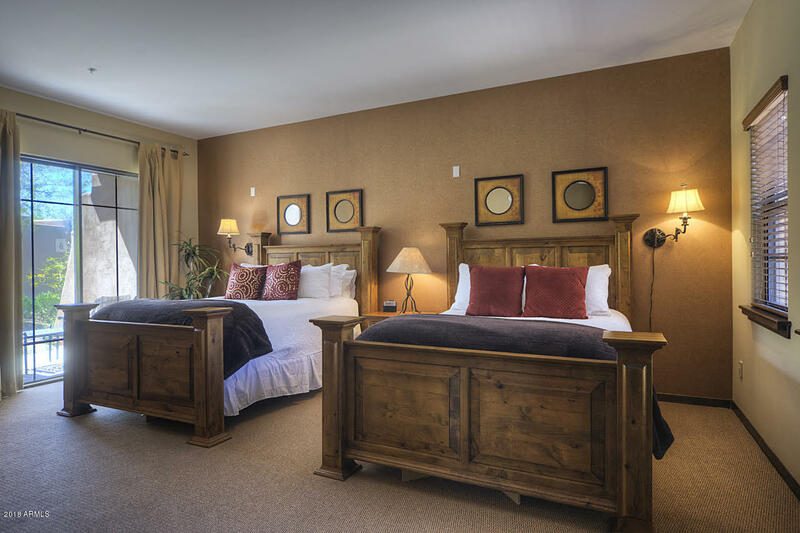 Two self-contained Master Bedroom Suites offer excellent Privacy and can be locked off from one another. 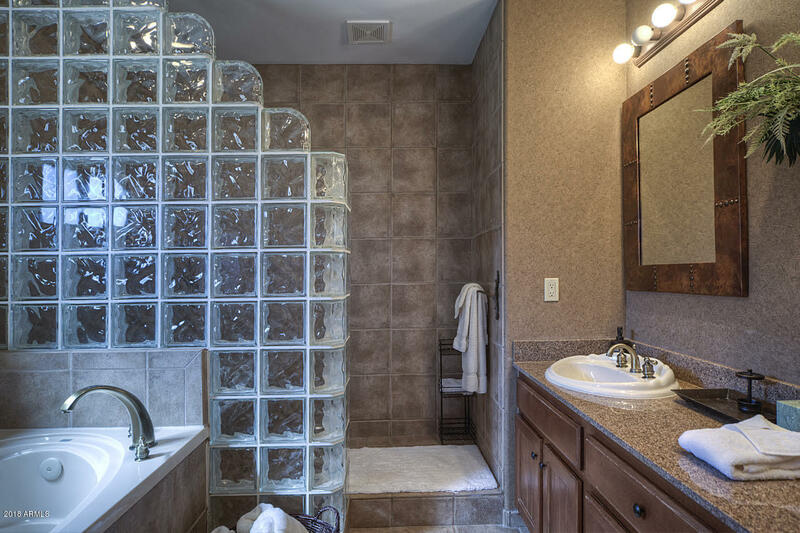 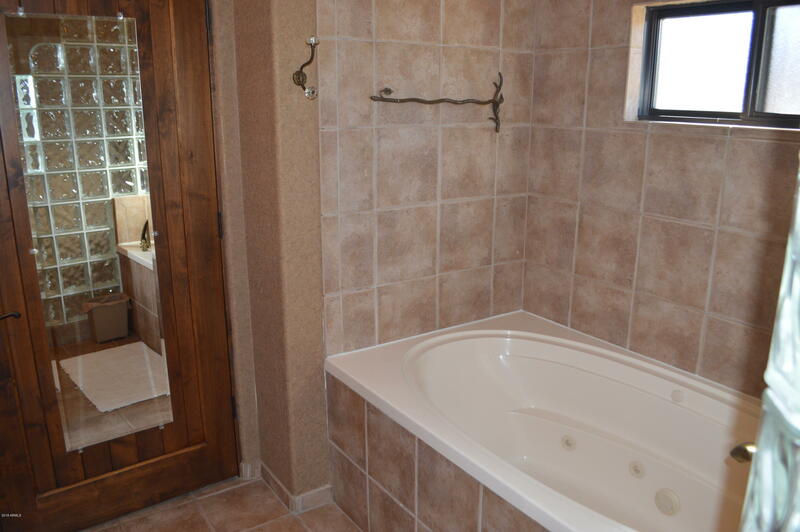 Other Features include Gas Range, solid Core Alder Doors, Ceiling Fans, Surround Sound System, Jetted Tub in the Master Bath and TWO Car Garage. 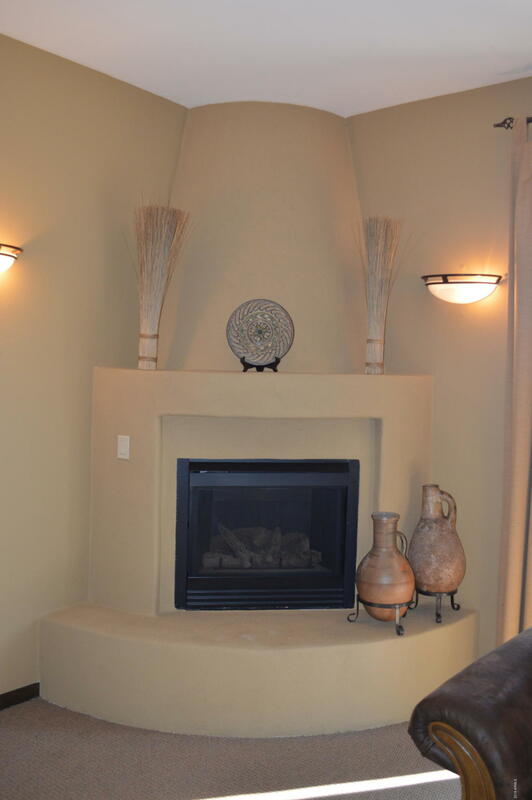 Everything is included as you see it. 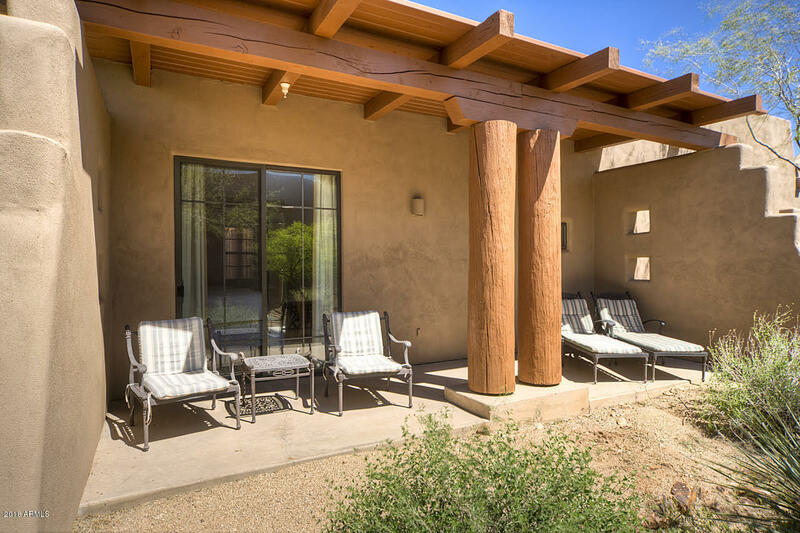 All Rooms open to covered Patios for outdoor living. 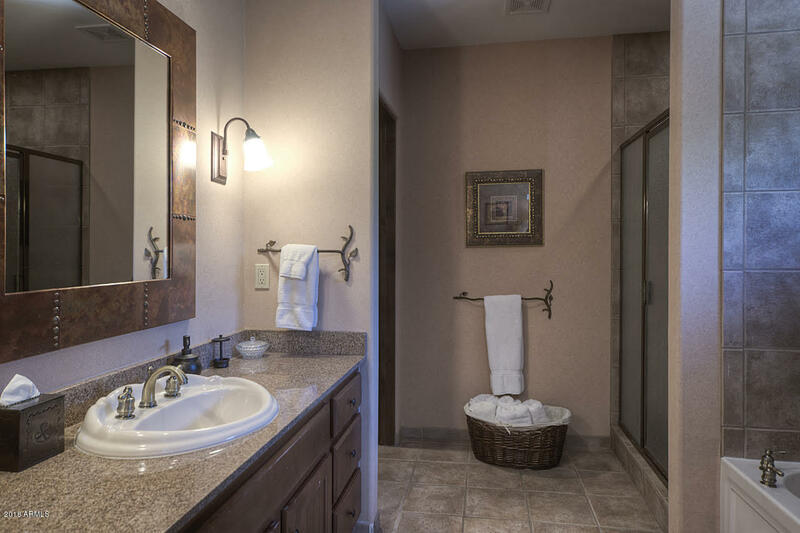 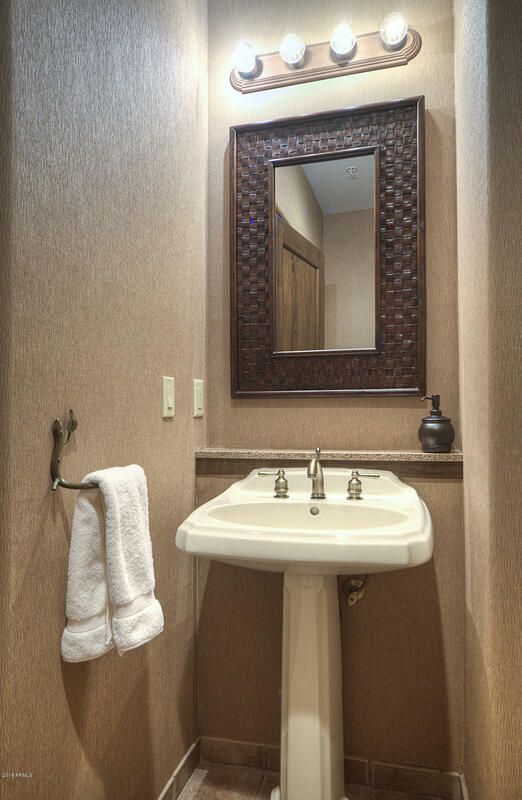 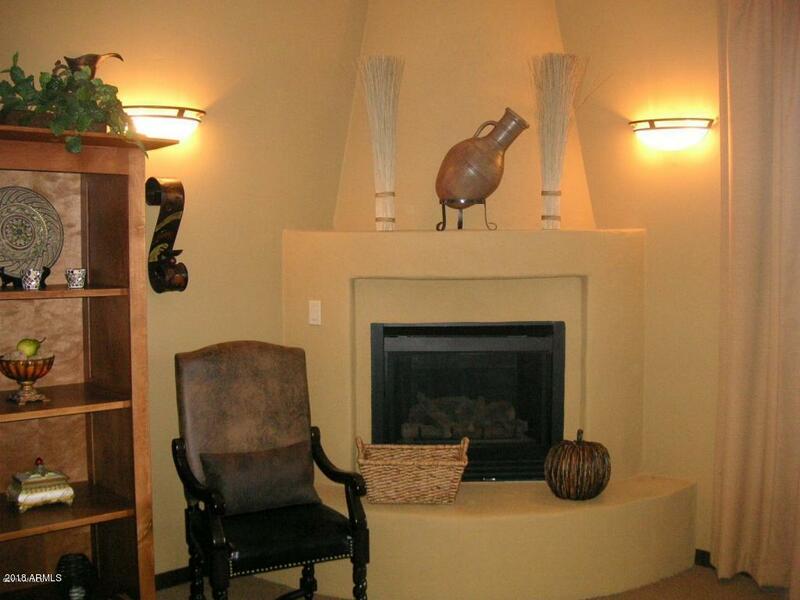 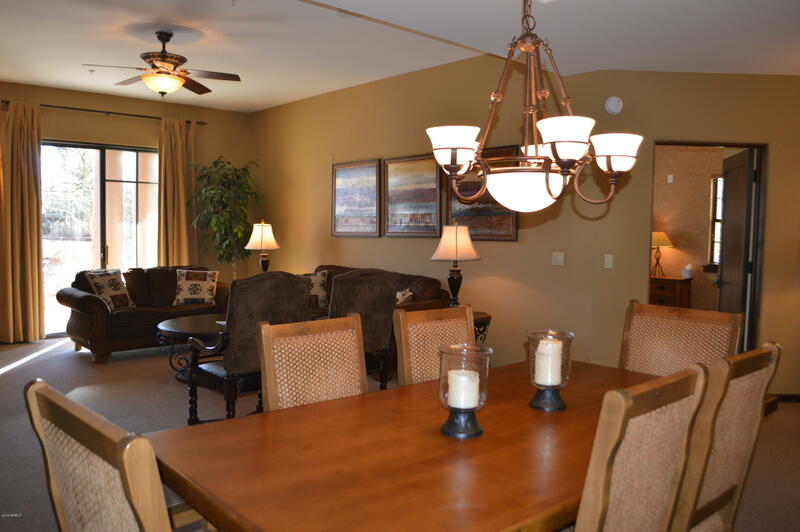 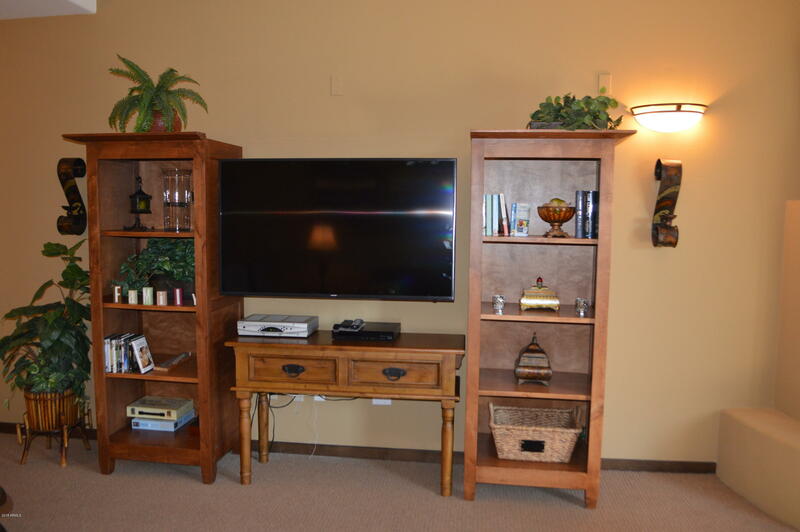 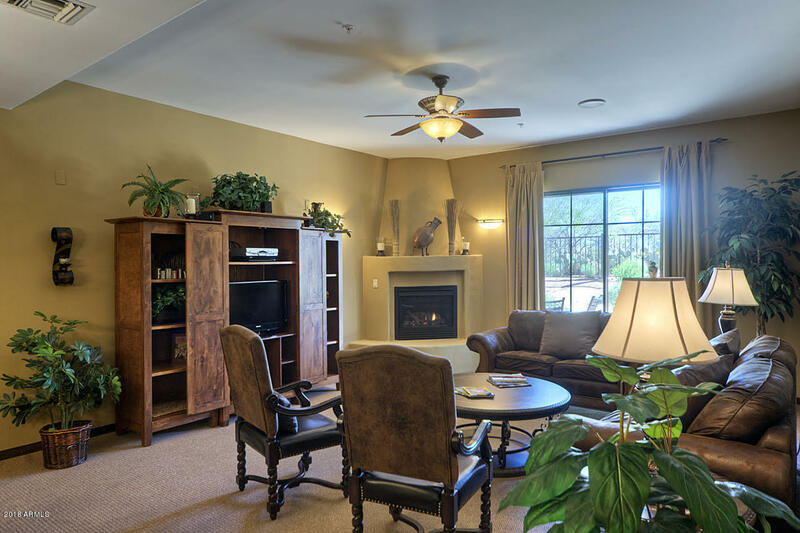 Relax by the cozy Kiva Fireplace or enjoy the Resort Style Community Pool, Spa and Putting Green. 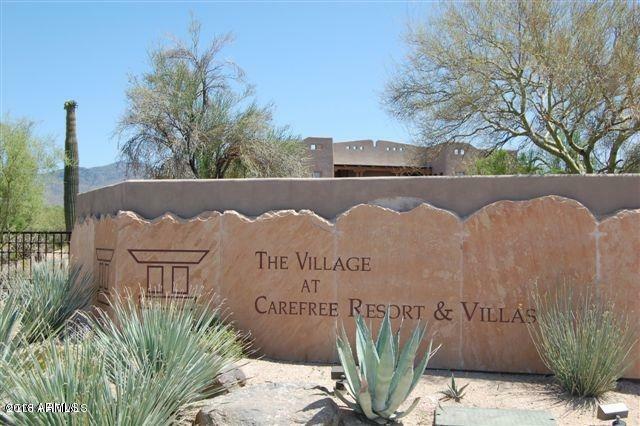 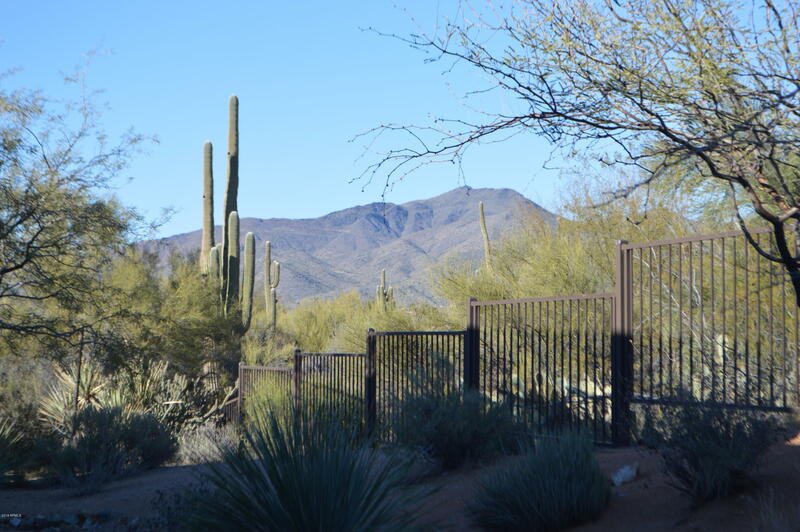 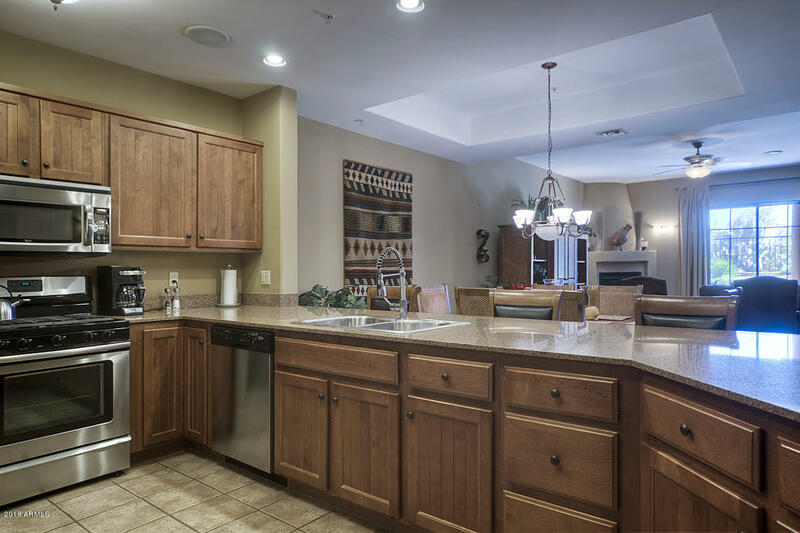 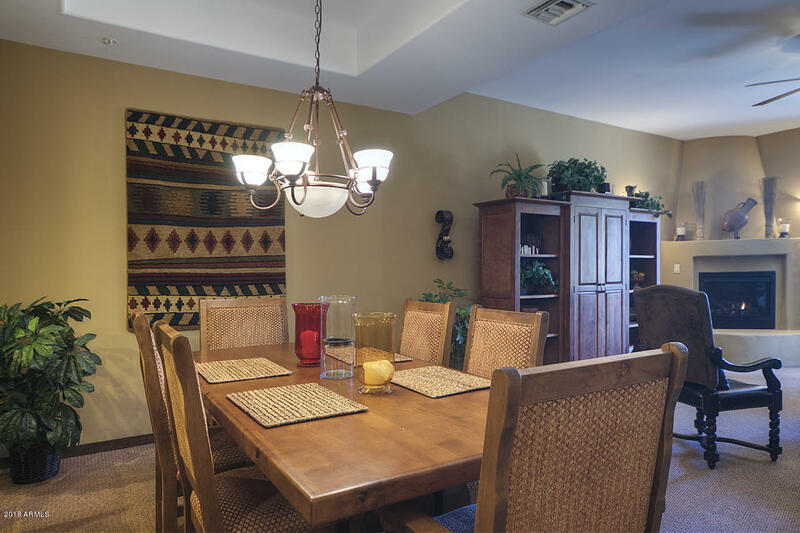 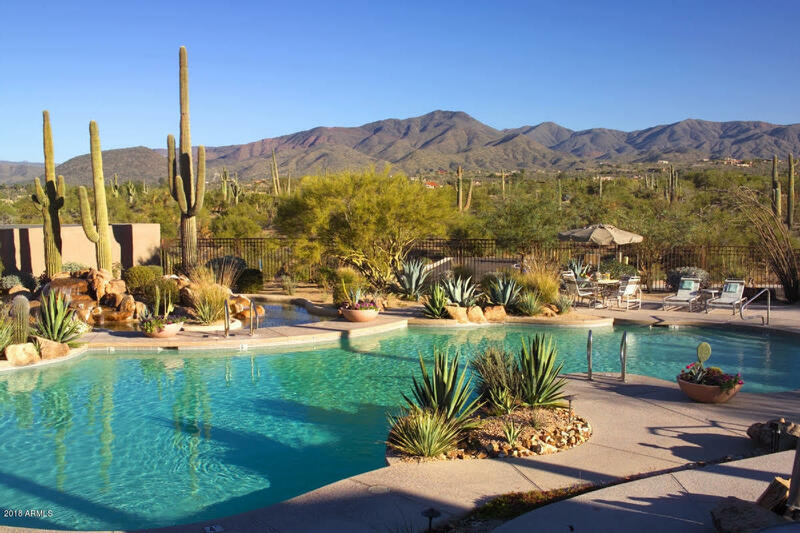 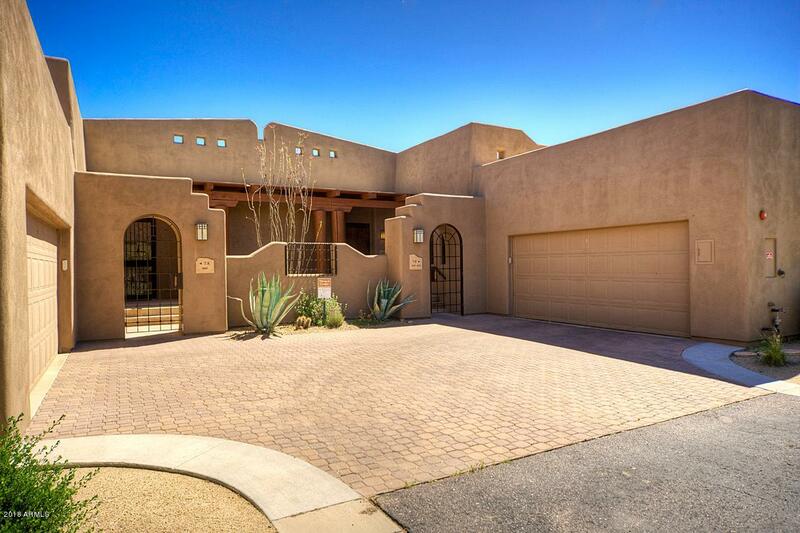 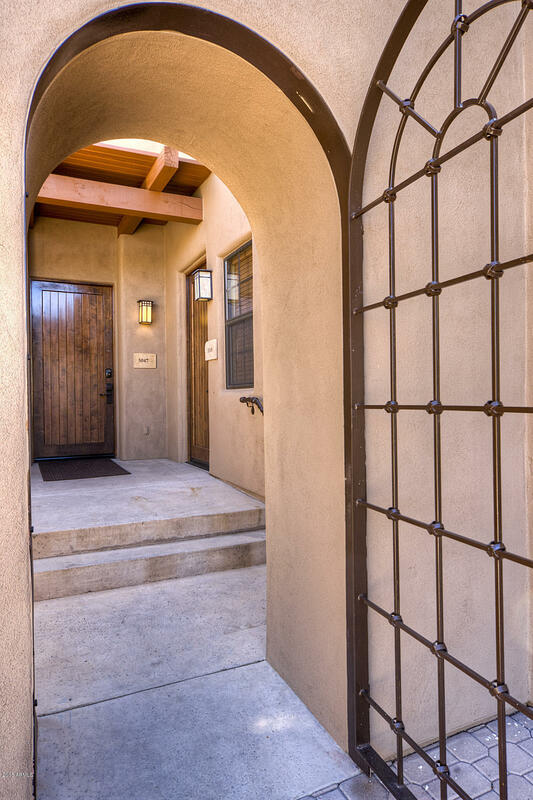 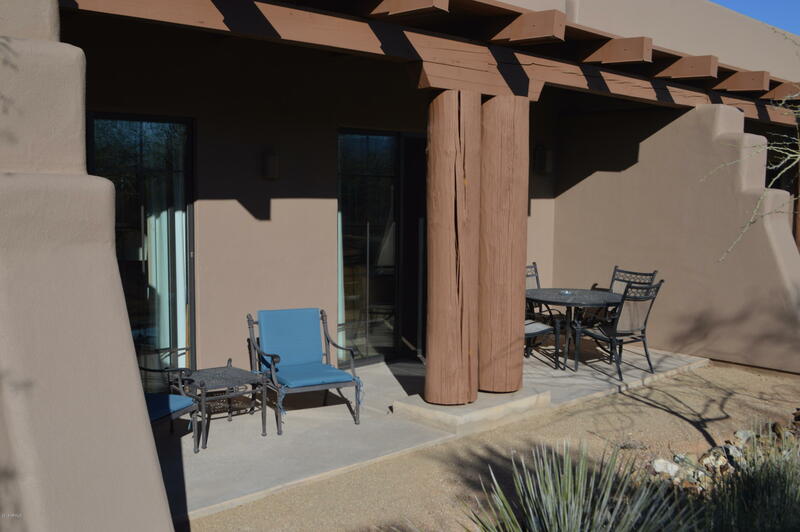 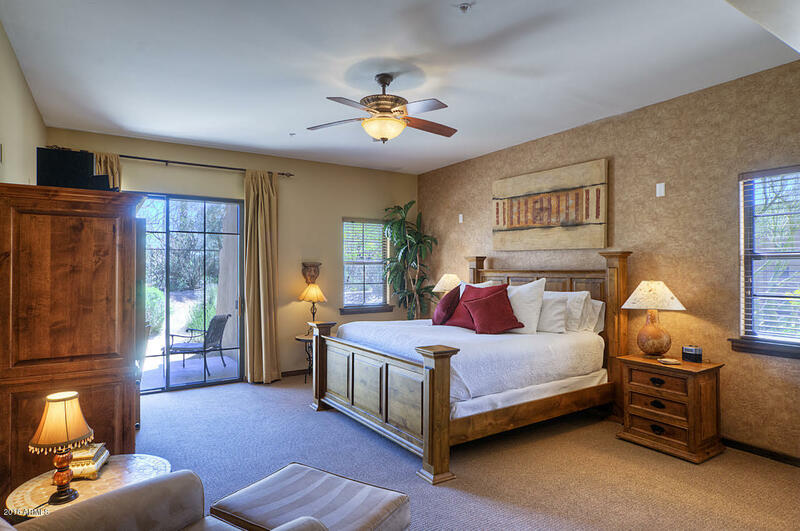 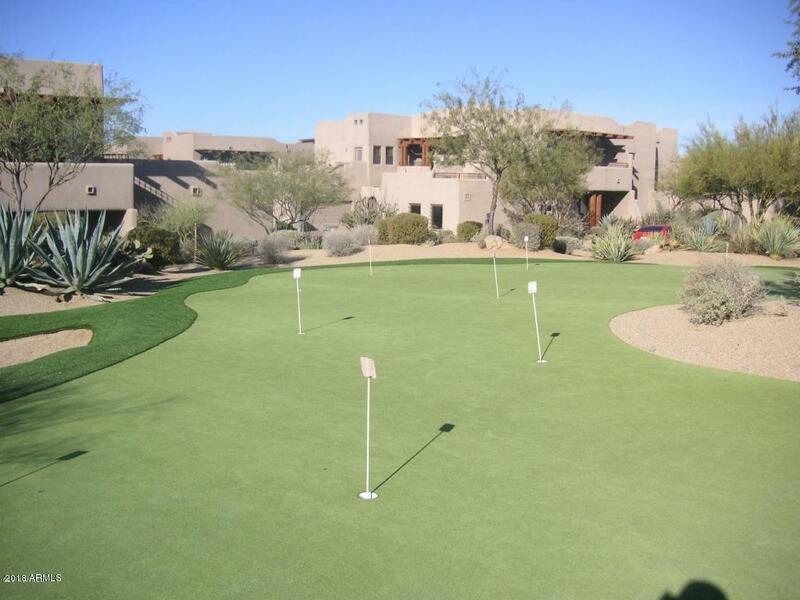 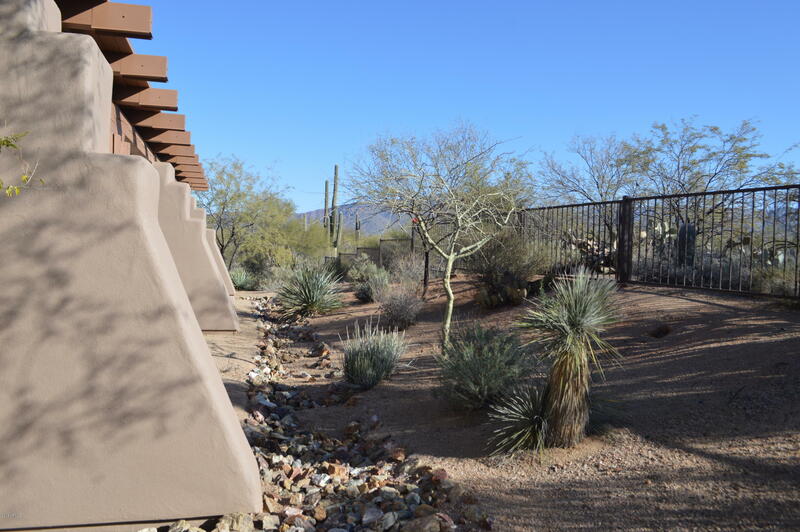 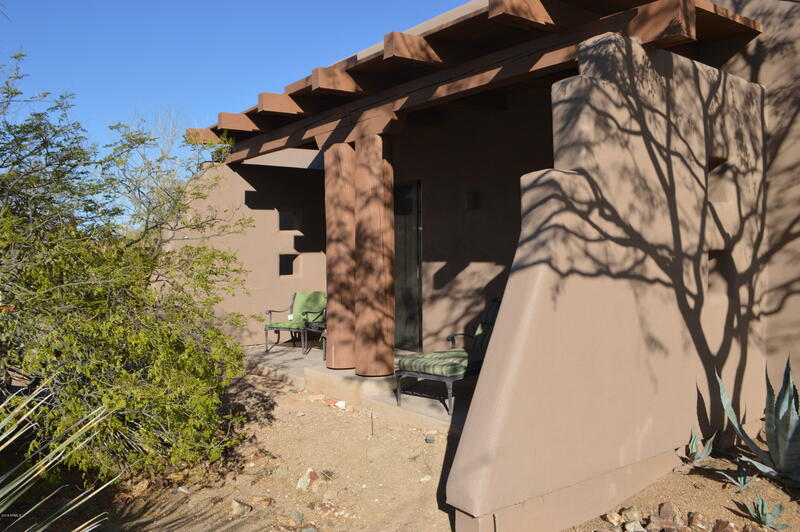 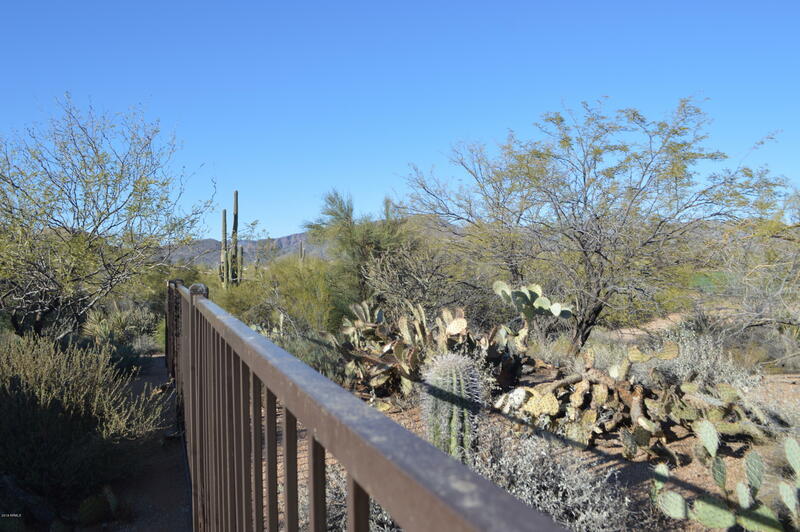 This gated Community is close to Shopping in charming Carefree, the internationally renowned Carefree Resort and Cave Creek.